The Sense of an Ending–I can see my future. I can feel myself becoming more like Tony Webster (Jim Broadbent) each day. I hope I am only becoming him in the best ways, but no one is perfect. There are weeks when you are simply done by Thursday, and the sight of people demanding your attention over frivolous matters makes you so exasperated you want to get in your car, come home, and go to bed as early as 8 a.m. And dealing with “walking cliché people” who talk like they’ve swallowed 300 of the most generic greeting cards is increasingly unbearable. Incidentally these are the same people who don’t seem to be aware that they’re on earth with other human beings who can see their litter, hear their loud children, inhale their cigarette smoke, and see them taking up the entire sidewalk with their obnoxious friends. However, I’d like to think that my hypothetical daughter–Michelle Dockery plays Susie Webster, Tony and his ex-wife Harriet’s (Harriet Walter) actual daughter in the film–would not hesitate to call on me in the most serious, intimate matters in the midst of which a child would need a parent. 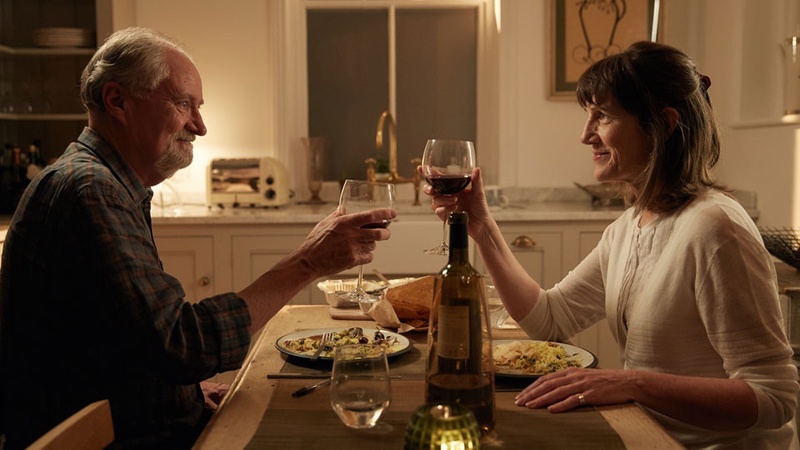 But again, life is not always so simple, and The Sense of an Ending (directed by Ritesh Batra, written by Nick Payne, and based on the novel by Julian Barnes) reminds us that our idea of ourselves is not always in sync with how others perceive us. We can change before we are aware of it–or we can simply be without knowing how we are. The past and how we make sense of it–and how we can live in our own heads–make up the multiple realities in which we live. I often think that it is “a lot of work” to maintain relationships and my own interests, not to mention focus on the future I want to have. But we try, make mistakes, and try again. And occasionally we have breakthroughs that put us in a better place. 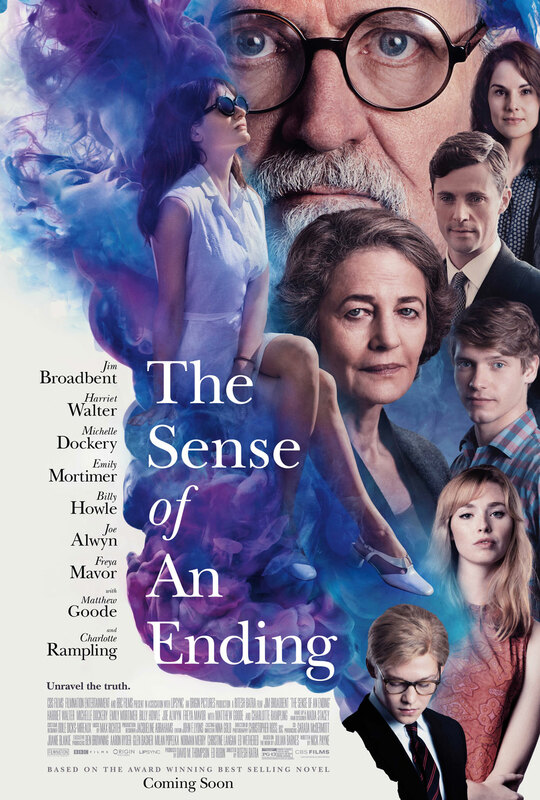 The Sense of an Ending is my kind of film. It is about people and memory–and yes, the relationships that make up our lives and make memories what they are.